Senate Bill 641, the largest of the three, would have allowed farmers who've received federal disaster payments dating back to 2014 to deduct them from their state income taxes. While legislative researchers told the Associated Press that the deduction would only cost $12 million, Nixon maintains that it would cost more than $50 million in revenue during Fiscal Year 2017. House Bill 2030 would have created a 50 percent tax deduction for business owners who sell at least 30 percent of their companies to their employees in a stock ownership program (ESOP). Nixon said the bill would have cost Missouri more than $10 million in tax revenue without creating any new jobs. Supporters had argued it would expand the number of employee-owned businesses in Missouri and help prevent jobs from leaving the state. Senate Bill 1025 would have created sales tax exemptions for several instructional classes, including yoga, gymnastics and marital arts. Gov. Jay Nixon signed and vetoed several bills Tuesday. Nixon, a Democrat, said those three pieces of legislation would have torn a $60 million hole in next year's state budget, which begins Friday. "I have been very clear with members of the legislature about this, (and) I'm more than willing to sign tax cuts, as I have today, and as I have in the past, as long as they make good sense for Missouri," Nixon told reporters. "But any legislation that's going to further reduce the revenues we have to pay for things like schools, scholarships and public safety, has to meet a high bar ... these three measures fail to meet those standards." A tax break he did sign into law Tuesday will benefit armed service members. Senate Bill 814 will give active duty military stationed in Missouri a 100 percent deduction on taxes earned from their military salaries. "Members of the military who are stationed out of state can already deduct 100 percent of their earnings from (active duty) income," Nixon said, "so it's only fair to give the same benefit to our servicemen and women stationed here in Missouri." Back to vetoes: Nixon also struck down legislation he said could have given agriculture and mining interests more representation on Missouri's Clean Water Commission at the expense of members of the public. Language was added to House Bill 1713 near the end of the legislative session that would have limited members of the public serving on the commission to "no more than four," while "at least two" commission members had to come from the agriculture and mining industries. Technically, it would have allowed the commission to function with zero public members. "The Clean Water Commission has responsibility for everybody's water, not just factories, not just farms, not just utilities, but the water we drink and the water we use," Nixon said. "When you take up all those slots, you end up having special interests represented on what should be a general interest board." House Bill 1582 – allows businesses to file W-2 forms electronically. General Assembly ends session: Now, what will Nixon do? With Missouri legislators heading home, the focus in Jefferson City now shifts to Gov. 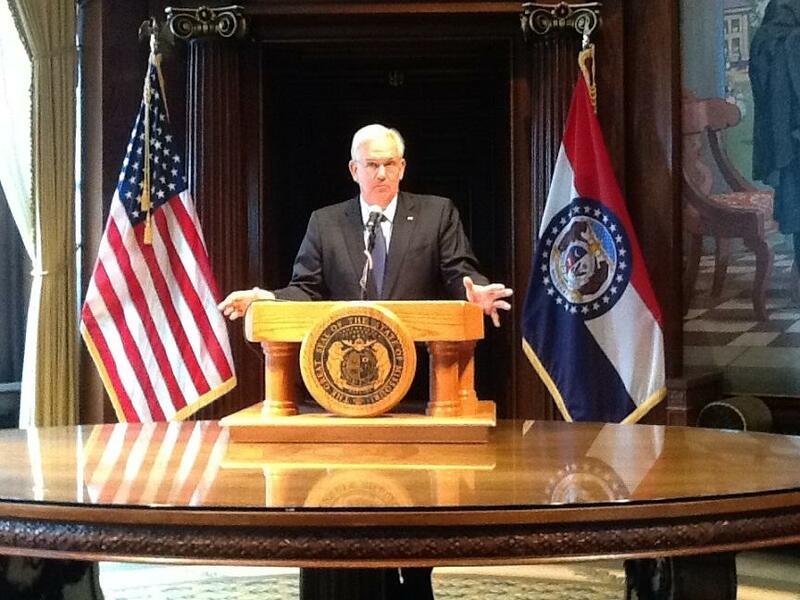 Jay Nixon – who will decide what to sign and what to veto among close to 140 bills now sitting on his desk. And despite what the governor called “stark differences’’ of opinion, Nixon sounded more conciliatory in his post-session address than he has in recent years. The governor’s implied message Friday was that, from his perspective, this 4 and ½-month session could have been worse.